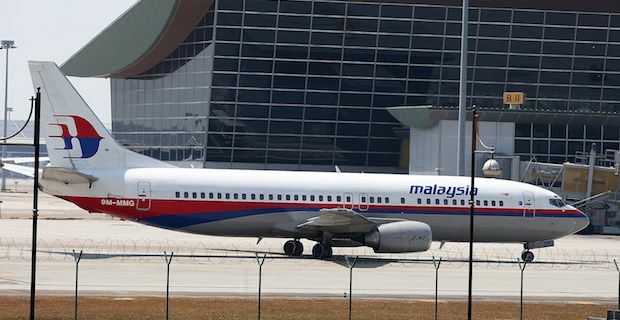 There has been yet another twist in the missing Malaysian Airlines passenger jet that disappeared over a week ago. Reports have emerged of a low flying passenger plane over the Maldives in the hours following the disappearance of flight MH370. Residents on one of the most remote islands in the Maldives reported a "low flying jumbo jet" and witnesses have placed the incident as happening at approximately 6am on the 8th of March. This time would mesh with travel time needed to cover the 2,000 miles between the Maldives and Kuala Lumpur. Contact was lost with flight MH370 at approximately 1.20am on that day after the plane took off form Kuala Lumpur at 12.40am bound for Beijing. There were 239 passengers on board and their families have endured a nightmare in the days since as investigators continue to be puzzled by the events. One resident claimed that the jet was so low that he and other residents could even make out the doors on the plane saying "We've seen seaplanes, but I'm sure that this was not one of those. I could even make out the doors on the plane clearly." He added "It's not just me either, several other residents have reported seeing the exact same thing. Some people got out of their houses to see what was causing the tremendous noise too". Some Chinese families are threatening to go on hunger strike as the investigation is taking so long without any real news of what happened. Chinese Foreign Minister Hong Lei has pleaded with those in charge of the investigation on their behalf saying "China has all along demanded that the Malaysian side and Malaysia Airlines earnestly respond to the reasonable requests of the Chinese families". It has been a full 11 days since the flight disappeared from radar screens without a trace and investigators are following a number of trails in their quest to discover exactly what happened. Snorkelling in the Maldives: discover paradise!